thiruvAimozhi – 8.5.3 – mudi sEr senni ammA! In the third pAsuram, AzhwAr says “You should come and appear in front of me like an invigorating, distinguished, pure rain cloud, to eliminate my sorrow”. perumAnE – Oh greatest of all! thOnRAy – you should appear. As I am sobbing and crying, saying “Oh emperumAn who is greatest of all, being the lord with the divine crown which is well fitting your divine head, who is wearing distinguished, dense, attractive, radiant, cool, very fragrant thiruththuzhAy garland!” you should appear like a pure, unseen cloud with the form that has matching divine ear rings, coral like divine lips, four divine shoulders, waist which resembles a damaru/udukkai. mudi sEr senni ammA – Oh sarvESvara who is having divine head which is with a divine crown which reveals your supremacy over everyone else! nin moy pUm dhAmath thaN thuzhAy – Oh sarvESvara who is wearing an invigorating thuLasi garland, which is densely strung together, which is heart-captivating, radiant, and having its fragrance increasing, as days pass! enRu enRu – Are you remaining inactive thinking that I will recite this once and leave it? Engi azhudhakkAl – As I sob and cry. As you hear my helplessness in my cry, should you not come and immediately present yourself? padi sEr magarak kuzhaigaLum – Fitting as part of the divine form, or fitting well on the divine form; also explained as naturally fitting, and fitting on the divine form. 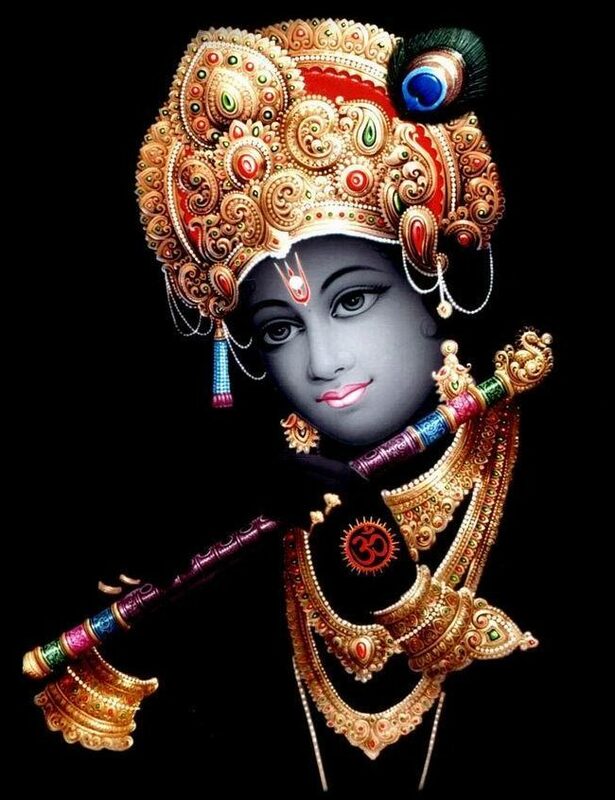 It is said in mudhal thiruvandhAdhi 85 “padi kaNdaRidhiyE” (Have you not seen and enjoyed his divine form?) [this explains that padi refers to form]. pavaLa vAyum – The divine lips which manifest the relationship/attachment. nAl thOLum – The four shoulders which resemble well-branched kalpa tharu (celestial wish-fulfilling tree), which are available to embrace us. thudi … – His form appears like a cloud which is having damaru like waist. Since these attributes are not present in a cloud, this is called abhUthOpamA (a non-existing simile). thU nIr mugil – Cloud which has absorbed pure water. You should present yourself so that all your internal coolness and compassion are visible in your form itself. This entry was posted in thiruvAimozhi, thiruvAimozhi 8th centum on March 20, 2019 by Sarathy Thothathri.